We are happy to offer laser therapy to our patients! 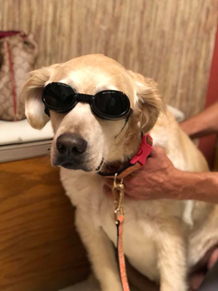 Our Companion Laser is a tool to relieve pain, reduce swelling and speed tissue healing, helping your pet get back to their normal self quickly. This is not painful and not used for surgery. The patients tolerate the treatments very well, pet owners may be present and it only takes a few minutes. 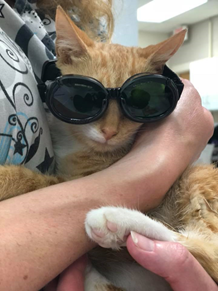 In Veterinary Medicine, many acute and chronic conditions have been shown to benefit from the laser. This includes but not limited to abscesses, wounds, soft tissue injuries, arthritis, venomous bites, dermatitis, lick granulomas, chronic ear infections/hematoma, speed the healing process following surgery or treatments and many more. Using the laser often allows for a reduction in the amount of medications used for pain relief. Confederate Ridge Animal Hospital introduced this technology in 2018 and have been pleased with the benefits seen in our patients. Let us discuss the benefit of the Class IV laser for your pet.